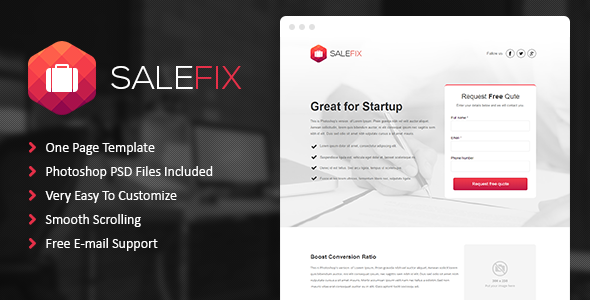 SaleFix is one page Unbounce Template. You can edit this template easily, without writing a single line of code. You can change colors, text and replace pictures in just few minutes. Item Reviewed: SaleFix Unbounce Landing Page Template 9 out of 10 based on 10 ratings. 9 user reviews.